In Italy there’s a place for every need. There's who loves the precious Amalfi coast and who prefers the huge sandy beaches of south Italy. And there's who feels tight in tiny beaches but gets bored in relaxing places. This is the one who goes to Rimini and the neighbor party towns of the Riviera Romagnola, competing for the lead in the standings in Europe. The most famous piece of Italy for literature lovers, but one of the most beautiful and romantic also for who loves to travel into the nature to the discovery of enchanting villages. Lake Como, with one of the most renowned towns that overlook its shores, Cernobbio, is the next destination we find in our long trip around Italy. 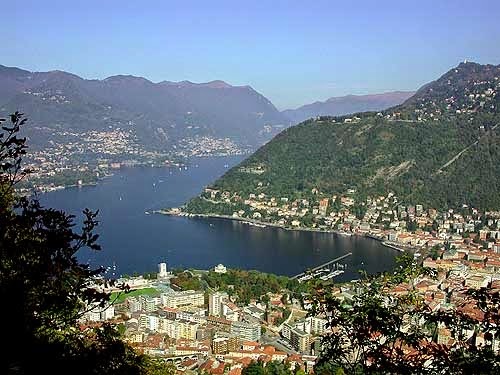 Lake Como, with its upside-down Y form, gave to the world the inventor Alessandro Volta and the writer Alessandro Manzoni, who set the book I Promessi Sposi (The Betrothed) the branch of the lake that contains Lecco. On Italy’s most spectacular peaks, Dolomites, for somebody the most beautiful mountains in the world, white in winter, pink in summer, is where we find the next destinations of our travel: Cortina d’Ampezzo and Ortisei, two of the most renowned and charatceristic resorts of the Alps where tourists stop for their ski trips and not only. 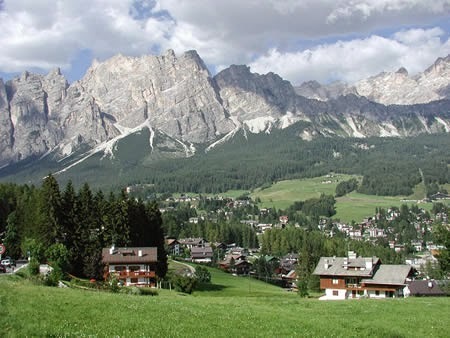 The Italian supermodel of ski resorts, Cortina d’Ampezzo, on the spectacular Dolomites mountains, is fashionable, pricey, icy and undeniably beautiful. . It boasts of 140 km of slopes and 80 km of cross-country skiing paths. The town’s stone church spires and pleasant piazzas are framed by magnificent Alps. Italian people are known to be very warm, chatty and boisterous sometimes, in a certain sense volcanic people… in a volcanic land. 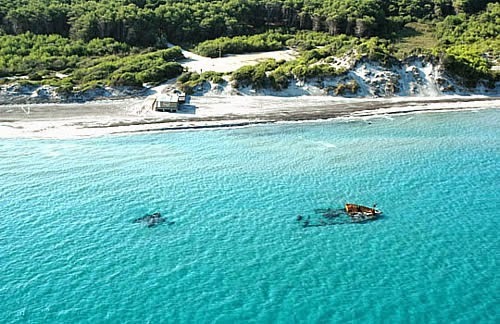 That’s not a joke, not only beaches and mountains characterize Italy’s nature. Apart from active and apparently dead volcanoes, central and southern Italy are dotted with beautiful lakes originated by ancient volcanoes, today stage of magic landscapes. 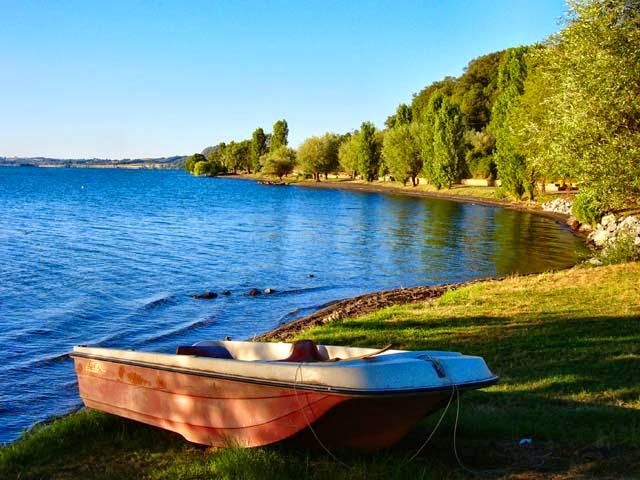 In the next stop of our blog’s travel we discover the two biggest of these lakes: Trasimeno, in Umbria region, and Lake Bolsena in Lazio region, not far from Rome. Lake Trasimeno is located in the green heart of Umbria, amidst beds of reeds and charming white water lilies. It is a true natural paradise home to wild ducks, cormorants, kites and kingfishers. What makes special and unique the coastside of Italy is the shape of some resorts and beaches, old coloured and flowered villages set like diamonds among the rocky cliffs. 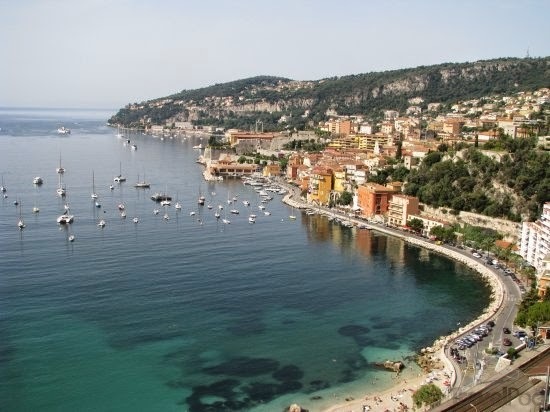 After a stop in the Emerald coast, today turned in a VIP lounge bar, and in the worldwide famous Amalfi coast, our next destinations in this travel to the discovery of the beauty of Italy are two typical italian lifestyle beach resort in the Riviera Ligure: Rapallo and Santa Margherita Ligure. The bright-blue changing cabins lining Rapallo’s palm-fringed beach and its little 16th-century castle by the sea (hosting temporary art exhibitions) give the town of Riviera Ligure a nostalgic air, but it is also a lively, friendly place. Italy is a worldwide dreamed destination for its millenary history, for its precious artworks of all times, for its calm mediterranean beaches… But also for the most fashion ski resorts in the world, competing with neighbour countries that share the same mountain chain, the Alps. Along all the italian borders with continental Europe there are gorgeus peaks, passes and valleys with enchanting mountain villages. 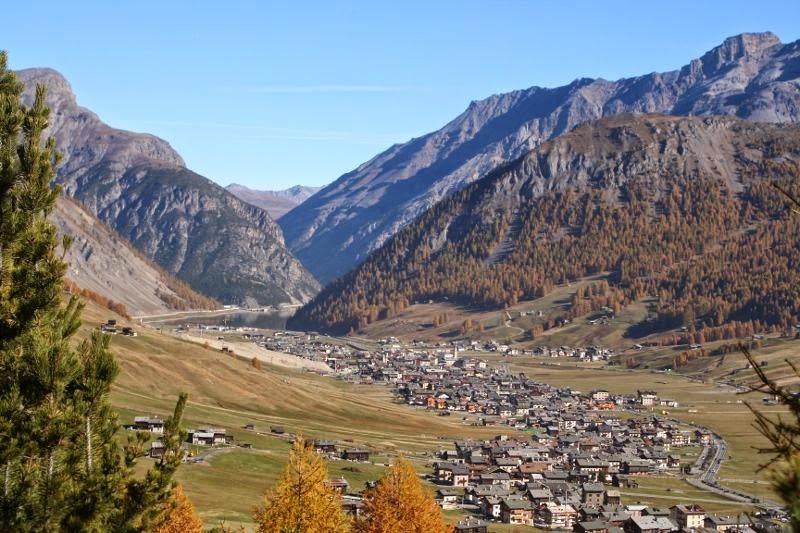 The first two destinations we are going to discover in our blog’s travel are the closest to Milan, upon the Alps of Lombardy and at the border with Switzerland: Livigno and Bormio, ancient villages today surrounded by popular ski centers. Here we go again with our blog’s travel around Italy! We decided to pass over all the Easter weekend in fantastic Apulia region, the heel of the boot! And after the magnificent beaches of its southern side, the two next gadders destinations are an incredible natural spot in the middle of the countryside, Castellana Grotte, and a beach resort in Gargano, the northern part of Apulia, with its romantic caves: Vieste. 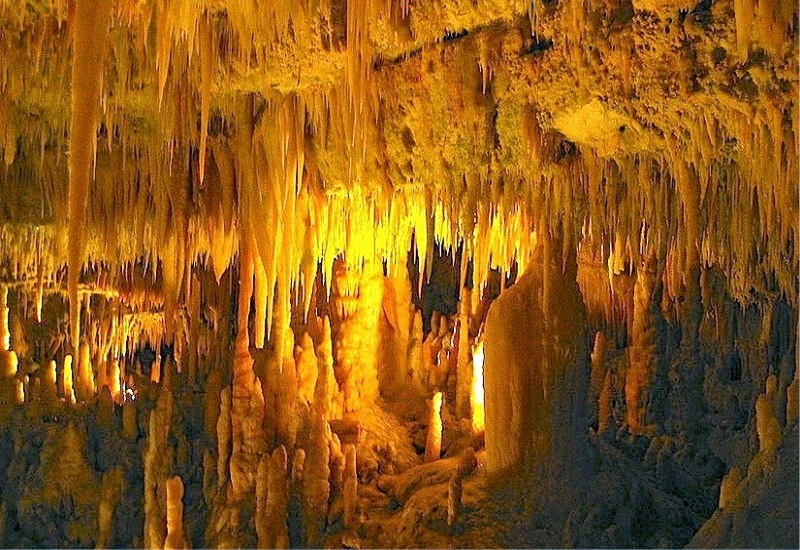 Castellana Grotte is a resort on the edge of a karst depression in the Apulian hinterland where there are the famous homonymous caves, the grandest and most beautiful in the whole Italian territory, explored in 1938 for the first time. And the boot’s heel offers destinations just as gorgeus as the toe, with pearls like centenary Otranto on the Adriatic sea and lively Gallipoli on the Ionic side. The old medieval centre of Gallipoli (meaning ’beautiful town’ in Greek) fills an island in the Ionian Sea and is connected by a bridge to the mainland and modern city. 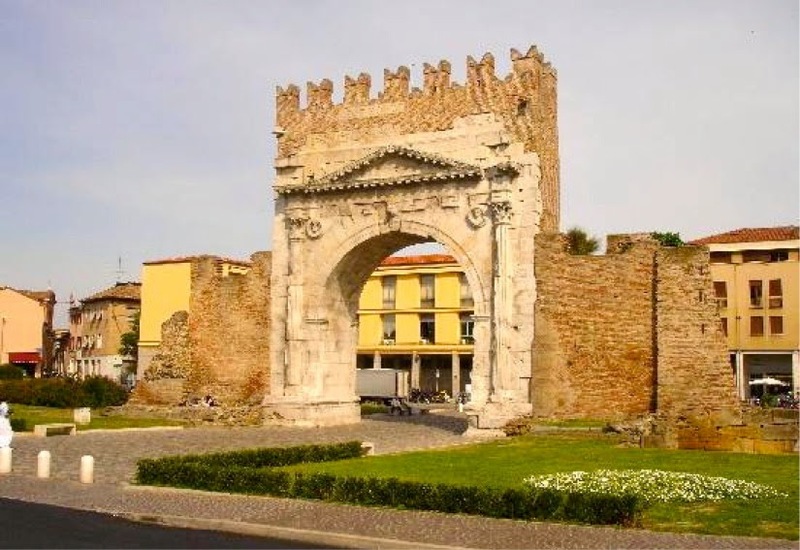 When it’s time for summer holidays foreigners going to Italy prefer overbooked Amalfi coast, expensive Emerald coast or hot Sicily, but in our blog’s travel we planned a stop also in another destination: undervalued Calabria. Endless beaches of Tyrrhenian and Ionian sea surrounding wild nature, where locals preserve thier magnificent pearls like Tropea and Sila National Park. 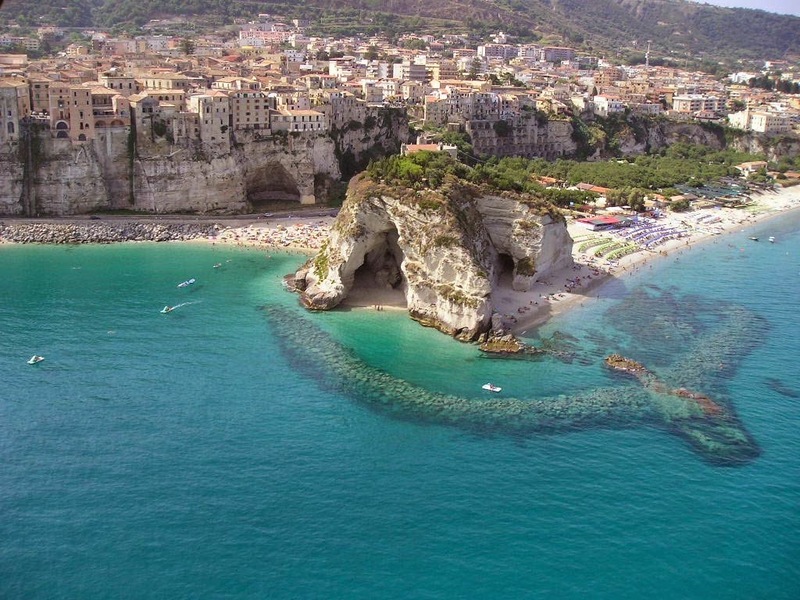 Tropea, a puzzle of lanes and piazzas, is famed for its captivating prettiness, its scenic views and gardens, dramatic position and sunsets the colour of amethyst. Few foreign tourists have been seen walking through these lands, but those who went have been overwhelmed by a torrent of sensations… A travel in the south-eastern side of Sicily is a travel into italian folklore, into ancient civilizations, into unexplored natural reserves. 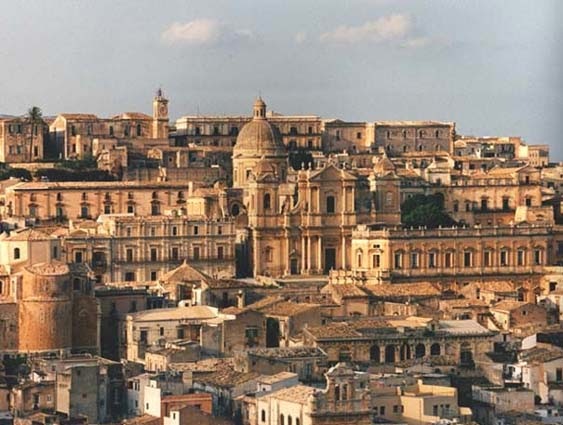 In our gadders blog’s travel we stop in two different destinations, Noto, a thousands years old town, and Vendicari, an uninhabitated island. Included in the UNESCO list of late Baroque cities of Val di Noto, Noto is one of the loveliest towns in the eastside coast of Sicily, a town completely destroyed by the terrible earthquake of 1693 and rebuilt ten kilometers further downstream, with the contribution of some of the most important engineers and architects of that time. When it’s time of holidays for most of Italians the Emerald coast is the land of dreams, so attractive, so popular, so expensive… so far from the peninsula… Maybe it’s not the kind of travel to discover the real italian life, it’s not like the charming unexplored beaches of south Italy. But if you want to feel like an italian celebrity, relaxing in a luxurious café or laying in the white sand of a private bay, these are the destinations for you! 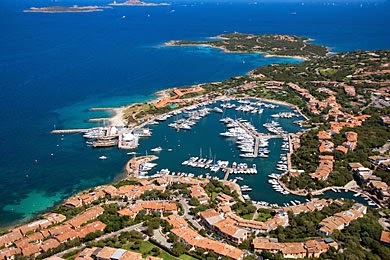 When it comes to Emerald coast it’s impossible not to talk about Porto Cervo, the heart of this beautiful piece of land on the east coast of Sardinia, once called "Monti di Mola", lonely territory inhabited by a few farmers. Bologna the learned, the fat and the turreted. These are the three names that better than any other definition describe the peculiarities of the city of Bologna. Home of the oldest university in Europe, Alma Mater Studiorum, founded in 1088, emblem of the culinary traditions of the region of Emilia and ancient center of the Middle Ages, with its walls, porches, buildings and towers of great architectural value, Bologna is considered to be a dynamic and culturally lively city. 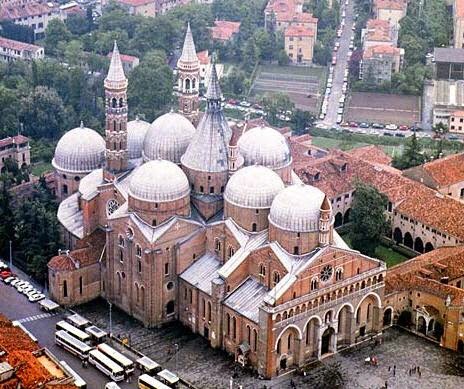 History, art, nature and religion in Padua come together to give life to a center full of special, often unique attractions. Not everywhere you can see a stream flowing in circle in a square, like in Prato della Valle: architectural work of absolute importance, also because of its size. Importance also reflected in the imposing Basilica of Sant’Antonio, symbol of the city: the cult of the patron saint is strongly felt in the city and helps to draw the contours of mystique Padua. The University and its students, however, reveals a jaunty and internationally mood. Addict to fashion? Milan is the drug... and much more! There are some cities in Italy that don’t need any introduction. One of these is Milan, the fourth gadders destination that we are meeting on our travel through italian beauties. But what is needed is that you discover its multiple faces hidden behind the mask of sad and cloudy business capital. 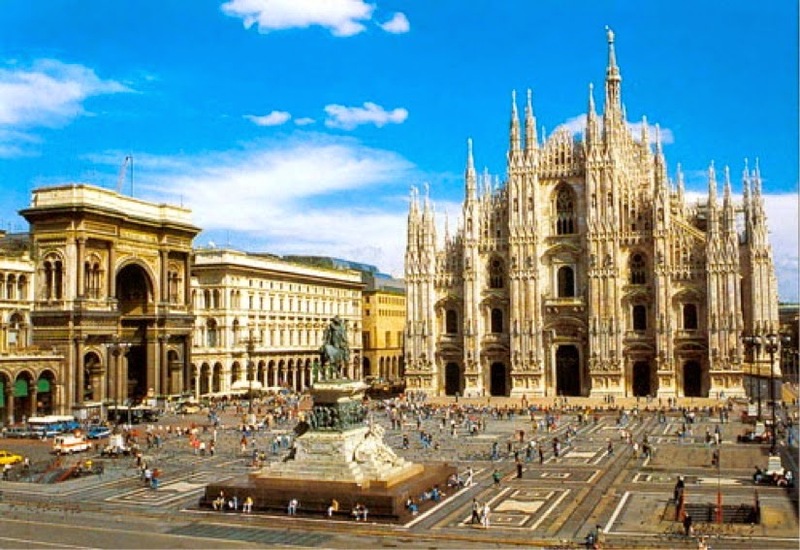 Tourists choose it for fashion, opera, the cathedral, the castle and the fresco of the Last Supper by Leonardo da Vinci, but Milan is mainly the Italian capital of business and finance. The shops are so many, the restaurants delicious and the nightlife very lively. Did you know Turin was the first capital of Italy? Prior to 2006 Winter Olympics for many foreigners Turin was even hard to find on a map. After the Games not only tourists have begun to reach the city, but they loved it. 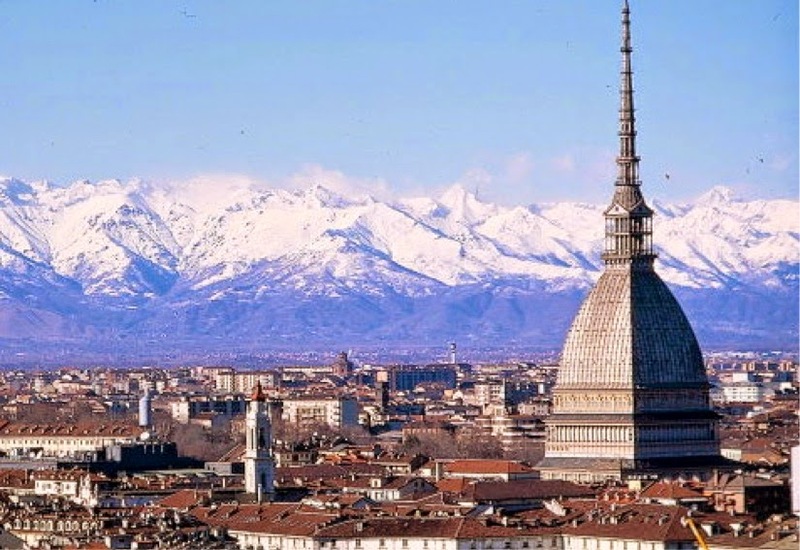 Because Turin reinvented itself: birthplace of unified Italy and known in the twentieth century as the city of Fiat and Juventus, today shows itself as a splendid art city, solemn and contemporary at the same time, one step away from the Alps and from the Ligurian Coast. 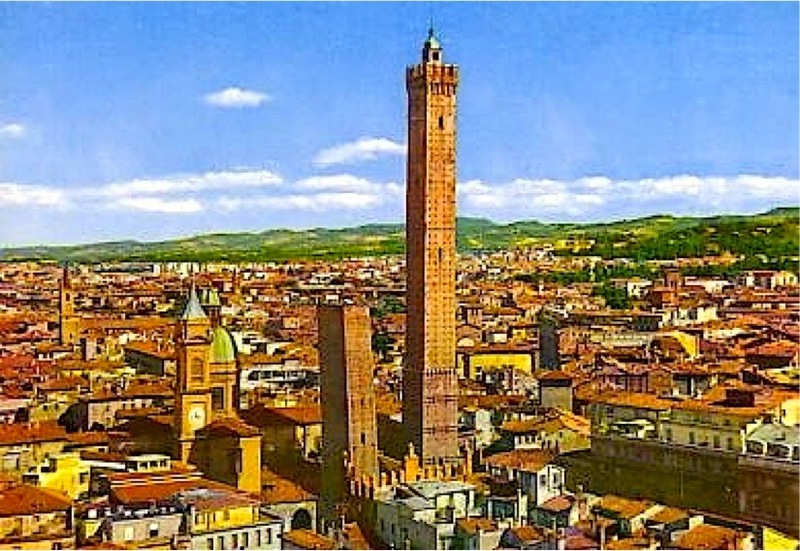 After Rome, the second gadders destination we are going to meet on our travel plan, could only be Florence, after all the second most known italian city in the world and the second most reach in art, culture and history of Italy… So full of things worth to mention that you can’t be satisfied with this post. 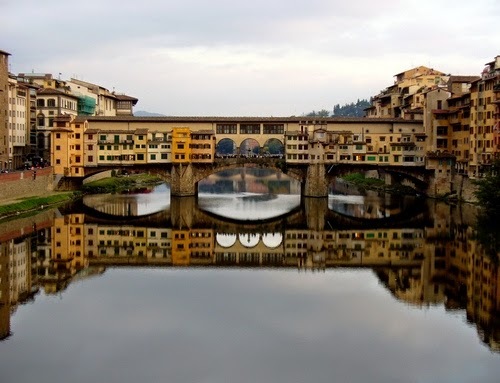 City of inestimable historical and cultural value, Florence is also one of the most distinctive and enjoyable places in Italy and has maintained the strong imprint of the small late-medieval center that contributed so much to the cultural and political development of Europe. 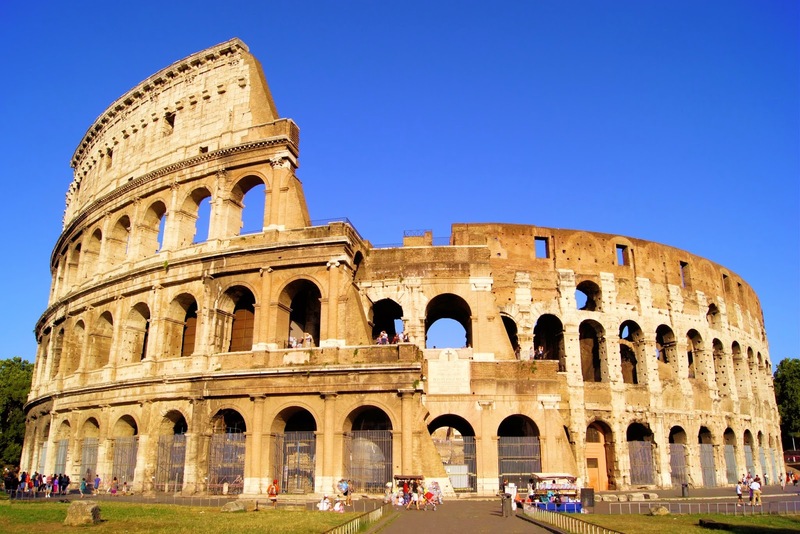 Founded according to legend by the brothers Romulus and Remus and become capital of the vastest empire in history, then proclaimed capital of Italy in 1870, Rome is considered the Eternal City, the cradle of italian history, art and culture.